This is an Alex Chase Scorpion Guitar. 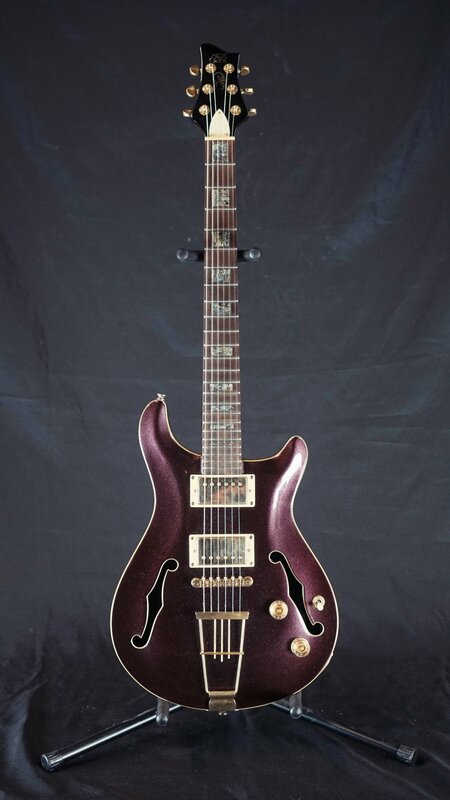 It is a semi hollow with a cool purple sparkle finish and a trapeze tailpiece. Similar in sound and style to a PRS. Comes with a hard case.